We got off the mark last week in Australia thanks to a fairly remarkable performance from Kiradech Aphibarnrat. He used up his 9 lives and more but remained a cool cat throughout to lift the trophy on Sunday. Qualifying as the 24th man it almost looked written on the Saturday but in truth all his opponents had chances to eliminate him but as they struggled to hole their routine 5-footers, Aphi made everything and provided a scrambling master-class time and time again on the 18th green. He was an obvious enough winner but ultimately I picked him for his proven class and excellent short game and that was what came to the fore on Sunday despite a few lucky breaks. This week we head back to the Middle East to complete the swing but before the Qatar Masters next week, we have a new tournament to the Tour in the shape of the NBO Oman Open. The host course is Al Mouj GC and while it has never been seen on the European Tour, it has hosted 5 events on the Challenge Tour since it was opened in 2012. Three of those were the season ending NBO Golf Classic Grand Final event while the first two were under the guise of the NBO Oman Classic. Those leaderboards should provide a handy list of the types of players who went well although it must be noted that Challenge Tour form is very different to even lower grade European Tour. Many struggle with everything that the step up involves and while a worthwhile guide, all hopes shouldn’t be pinned on course form this week. Designed by Greg Norman in 2012 the course is very much the norm in these parts of the world. A links style course with wide, flat fairways it has lots of bunkers and waste areas while water is in play on most of the wholes. The greens are big and undulating and will provide the main test this week as players aim to find the correct areas of the greens to allow birdies to be made on the often quirky sea paspalum greens. While the fairways themselves appear flat, there are lots of dunes to the side which help shape the fairways. The course is exposed so should the wind blow the approach shots will become even more difficult. Unlike with links conditions however, the paspalum grass will make any bump and run approaches considerably harder to gauge. Despite the wider fairways the presence of many fairway bunkers and water will require a degree of strategy off the tee and Jens Dantorp, who has a very solid bank of form at the course, has stated that it suits his game as he enjoys having to plot his way around the course. Visually the course looks a lot like Norman’s design in Spain, Golf Club El Prat. It is also practically the same yardage with both sitting around the 7340 yard mark. El Prat hosted the Open De Espana in both 2011 and 2015 and a quick look at those leaderboards may also prove advantageous. This looks like an excellent chance for Alexander Bjork to get over the line with a slightly lower grade Middle East event than the usual fare on the European Tour. He has been banging on the door in the regular events for the last 18 months so with him bringing a little course form together with an assurance on the European Tour I think he can go well this week. It certainly isn’t the fanciest of prices but he has progressive course form of 53rd-24th-7th. 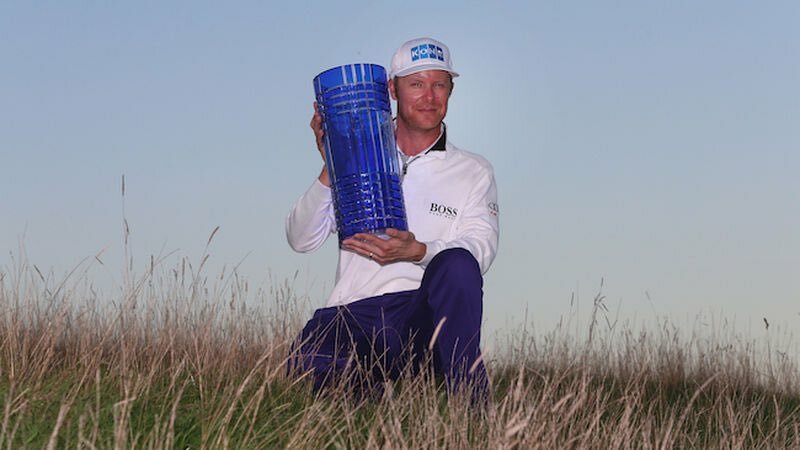 With Bjork we aren’t just picking a player who has done well on the course in the Challenge Tour as he has proven that he can cut it on the European Tour. His best result to date is 3rd at Le Golf National which is a great test of golf and not a course for any old run-of-the-mill Challenge Tour player. Bjork also finished 6th in the Dubai Desert Classic which is added to his already impressive bank of Middle East results; 17th DP World Championship, 13th Abu Dhabi Championship and 28th at last year’s Qatar Masters. Bjork’s main asset is his brilliant short game but he is learning what it takes to compete week to week on Tour and on the right course his tee-to-green game can be extremely solid. He has been cut in some places to 40/1 but there are still a few firms offering 50/1 and I think that is a decent price. I would say anything below 40s is probably a no bet but hopefully his price holds. Pablo Larrazabal came flying back to form in Malaysia on his last start as he got his iron game dialled in to finish 3rd with an excellent 64-66 on the weekend. Larrazabal had been vocal earlier in the week about how easy the Dubai Desert Classic had played and he will relish the thought of this more challenging course. When he is at his best he is a proven winner at this level and he generally does everything quite well. He hits it long enough and is usually above average in finding the fairway. His strength is his approach play however but he isn’t a player that always has his best. It’s important to try and back him when his game is on but unfortunately that means we will sometimes get a restrictive looking price but with that we know we are getting a player who is capable of stepping up on Sunday. If we look at the 5 men to have finished in second place behind him on his 4 wins it is a rather impressive list; Colin Montgomerie, Sergio Garcia, Phil Mickelson, Rory McIlroy and Henrik Stenson. One of his wins is also in desert conditions so he will handle the climate and layout. He has also been quoted in the past saying that he enjoys playing in wind as it puts him at an advantage. One final clincher for including Larrazabal was his 3rd place finish at Greg Norman’s El Prat Golf Club. Visually that course looks very similar to Al Mouj and he hit 79% of his greens that week further highlighting his need for a ball-strikers course. An in-form Pablo is a huge threat in this sort of field and while 40/1 may be a slight over reaction to one good performance in Malaysia, if he brings that weekend form to Oman I expect him to contend again. If he does there don’t look too many in this field with his level of Sunday experience in the heat of battle. There are a couple of other players in the same sort of price bracket that I like the chances of but didn’t want to go overboard. Jorge Campillo and Richie Ramsay should both be respected here for anyone looking to get stuck into a few more but instead I’m just going to play one more outsider. This could be right up David Drysdale’s street as he enjoys the more strategic links layouts. He is a former winner at El Prat when he took the Peugot Challenge there in 2006. The Scot hasn’t done much yet in 2018 but he is coming off one of the better seasons of his career and he hasn’t played too many suitable courses yet. I’m going to throw 1pt at him in the Top 20 market at 9/1.